Industrialist M.Resler from Minsk district opens a shot factory in Daugavpils around 1885. It is chosen to build it on the highest and drier point of city to place the producing departments and storages in different levels. There is constructed 28 m high wooden tower for lead casting, it is decorated with rich weathervanes and it stands not only as the factory’s symbol, but it marks the industrial landscape of Daugavpils. The factory differs from other city plants with the lead import from distant districts, while other use only the local materials. At the beginning there are 3-7 workers who produce shots, plugs and lead sheets. 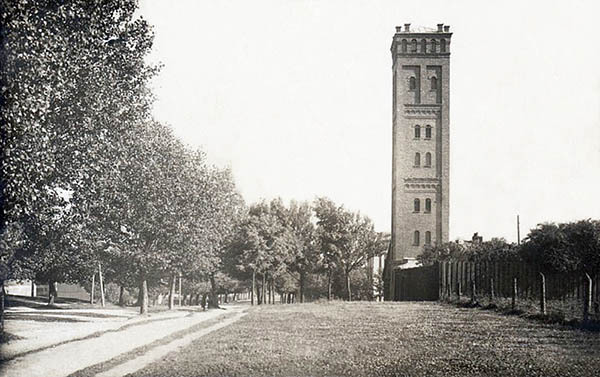 The factory’s wooden tower burns down in 1911, very soon there is built a new brick tower. 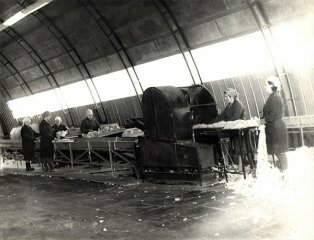 Until the beginning of World War I the factory producing capacity is increasing rapidly (produced around 70 tons of shots per year) as there are only four shot leading factories in Russia at the time. 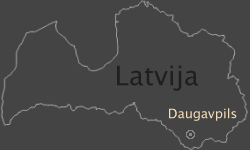 Soon the war changes everything in Daugavpils – the city is ruined, the number of inhabitants shrinks four times, many factories together with workers are moved to inner districts of Russia and also DSR is closed temporarily. After the WWII when Latvia is established as an independent country in 1918, it is a difficult period for industrial enterprises. There is a lack of engineers, professional workers and materials what can’t be optioned locally. At first the economical growth archive agriculture and forestry, only later there are restoring factories. L.Relsers restores the factory only in 1924, it is called as “Latvia’s First Shot and Lead Processing Factory.” After his death it is owned by Mortgage and Land Bank. 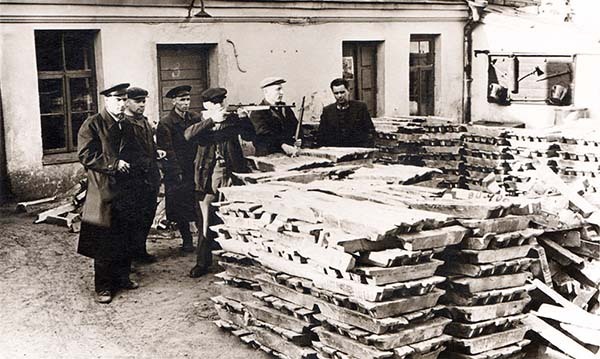 When there starts the authoritarian regime where government tries to control whole economics, the factory is bought by Central Union “Turība” in 1938; it owns other industrial and agricultural companies in Latvia too. The factory is called as “Shot Factory,” there are made an extensive repair works, and pugs are returned in an assortment. But very soon the factory becomes as completely government owned enterprise as Latvia is included in Soviet Union, it is managed by Latvia’s Consumers Union and the Central Union until 1993. Daugavpils is ruined during WWII in 1944, also the factory tower is heavy bombed. Only a year later there is partly restored the factory work, then just one person is working on shots. The factory experiences great repair works during 1948 when there are built new departments and set new machines. Around this time there opens other new industrial enterprises, there is brought workers from other regions, the city is expanding and there are built new districts of flat buildings. Already in 1953 the factory is working in three shifts per day, there are produced 500 tons of lead shots every year which are delivered to Siberia, Karelian-Finnish SSR, Buriat-Mongolian Autonomous Soviet Republic and other places. Later – in 1962 again happens an extensive repair works, then there is built the upper part of shot tower too. There is improved the product range – now there are poured shots in 10 different sizes and begin to produce metal fences. Around this time there are made about 2000 tons of shots per year and 1,2 million square meters of fences. 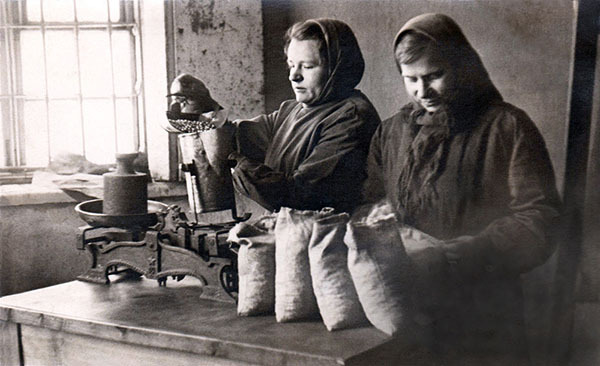 There is even stopped shots’ producing in 1968, the factory is called as “Daugavpils Metal Nets Factory,” around this time is made also a tow processing plant a few blocks away from factory on Kārklu street. After restoring shot leading, there are changed the old lead melting machines powered by diesel fuel to new electric. The factory was bought by its current owner A.Staks in 2011. Now there are produced 9 kinds of smoothbore guns bullets, ammunition for pneumatic guns and shots. 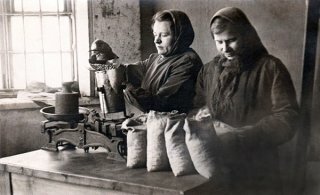 There is established the factory museum and the historic production workshop opened for visitors in 2012.